When it comes to celebrating St. Patrick’s Day, most people shop and try to find something green to wear while they prepare for a night out at the bars. For those that have a pet at home, don’t forget about them! 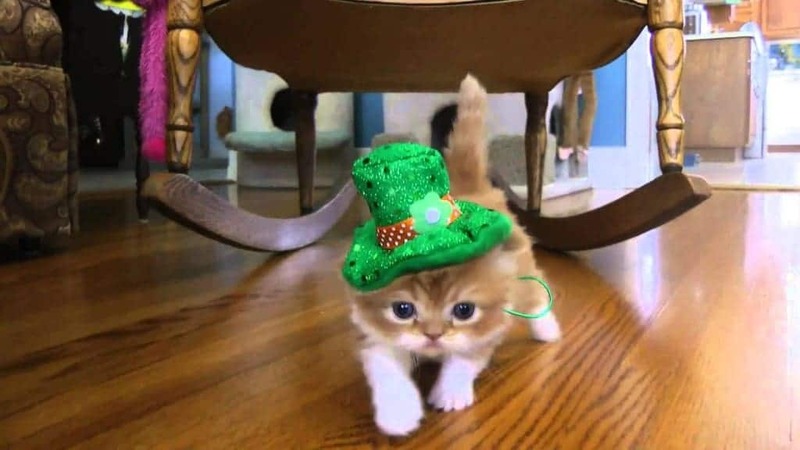 Whether they like it or not, it’s fun to dress them up in green while littering them with shamrocks, hats, and beards. Doing this will always yield hilarious results. 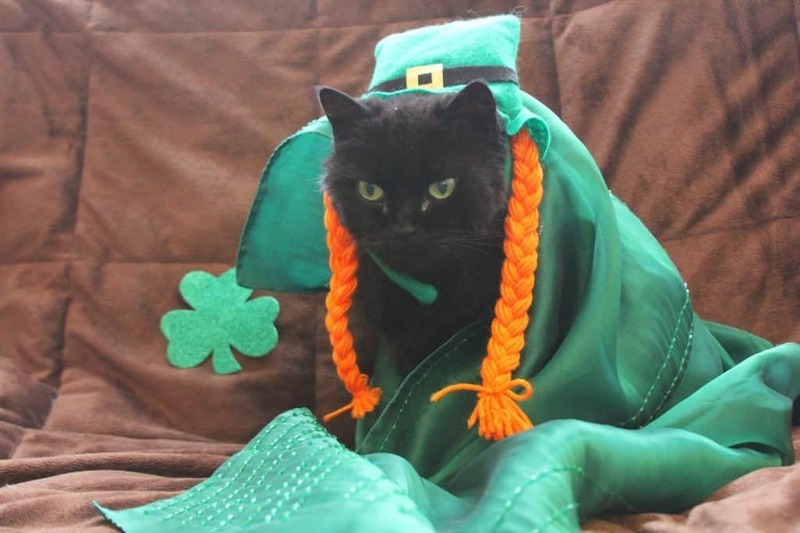 To get some ideas of your own or for those that don’t have a pet and want a laugh, here are some of the best photos we found of animals celebrating St. Patrick’s Day. Somebody tried donning the green, but it didn’t really work. Either this cat is mad that it didn’t fit, or is frustrated that their owner is trying to wrap them up in clothes. This dog is ready to get this party started in the right way. 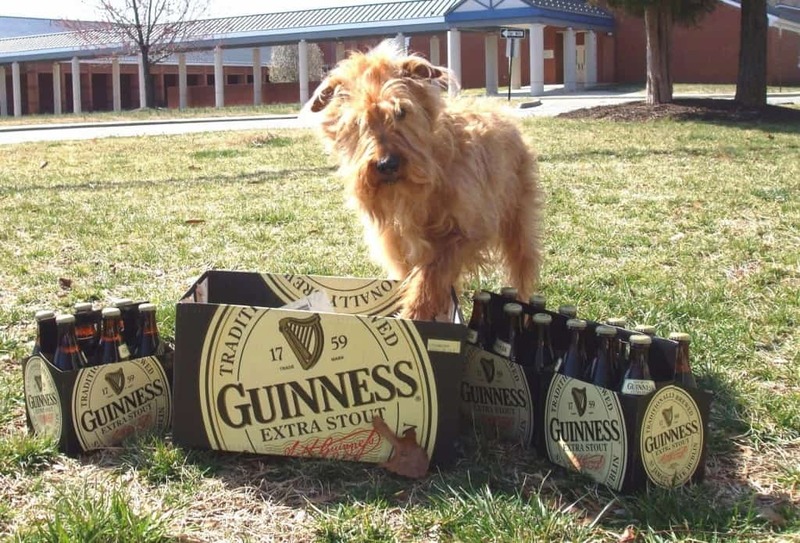 Nothing screams St. Patrick’s Day more than a huge collection of Guinness beer! Have you ever tried putting a hat on a cat for the first time? Chances are they won’t like it and will try to get out of it. Still, it’s incredibly adorable to watch. 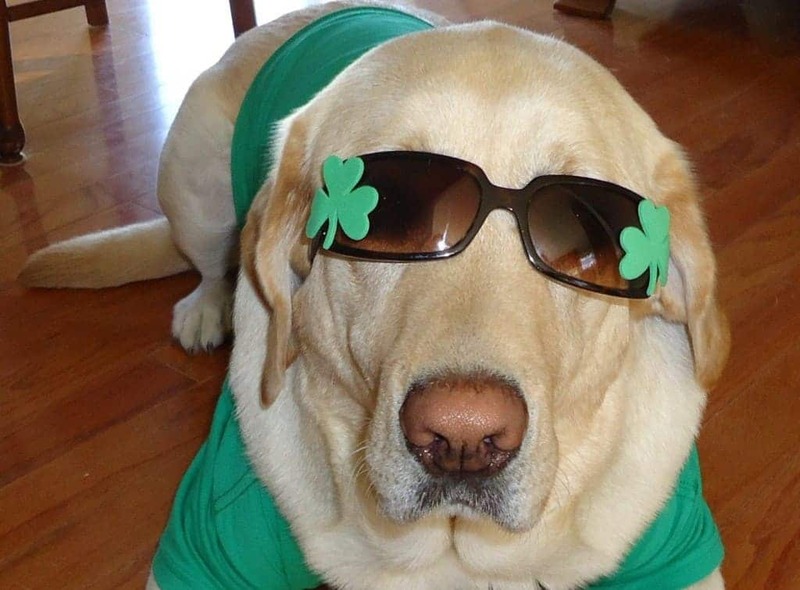 Perhaps just as stylish as the green leprechaun hat people wear at parties are the St. Patrick’s Day-themed sunglasses. This dog is ready to join the festivities. 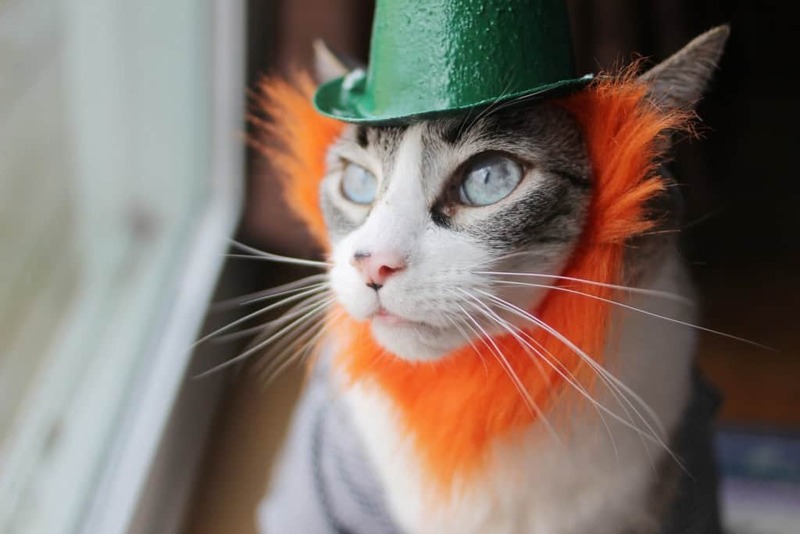 All it takes is an orange beard and a green hat and this cat looks like it is hunting for a pot of gold at the end of the rainbow. It’s not just cats that aren’t a fan of clothing on them. 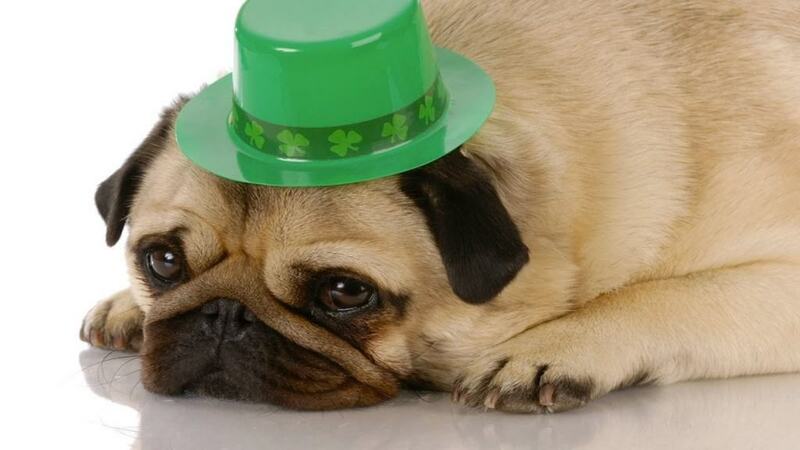 This dog looks like he’d rather be anywhere else than under that green top hat. 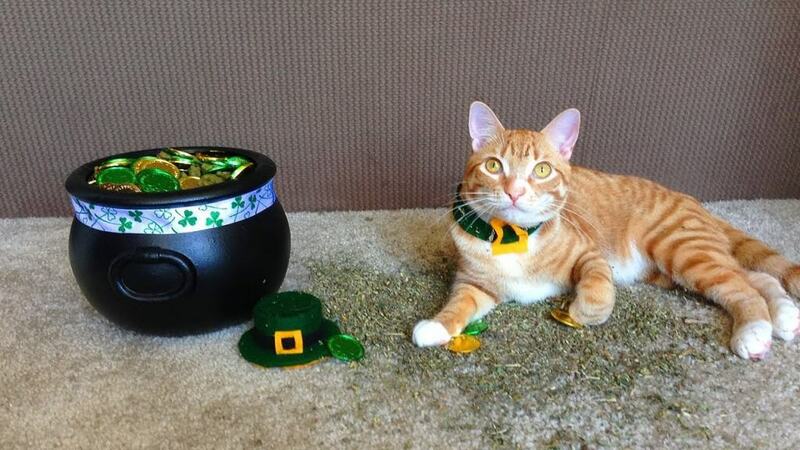 This cat seems to be enjoying itself after finding that pot of gold. Looks like somebody will be celebrating with more than just a can of Fancy Feast tonight. 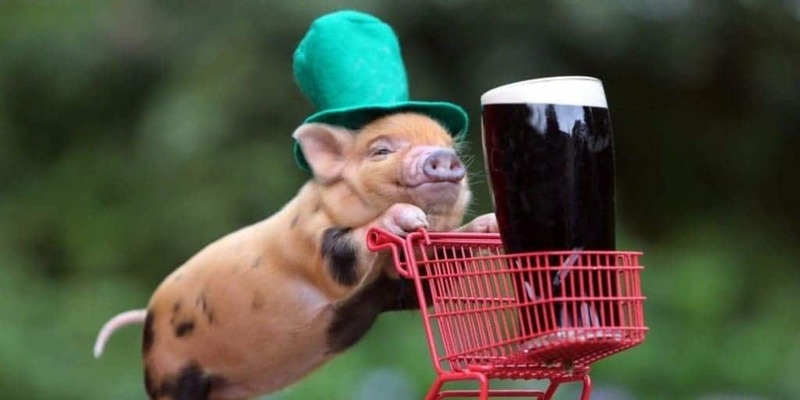 Perhaps the most adorable picture on the list, this cute little pig is pushing around a glass of Guinness beer in a little shopping cart. If only we could get service like this all the time! 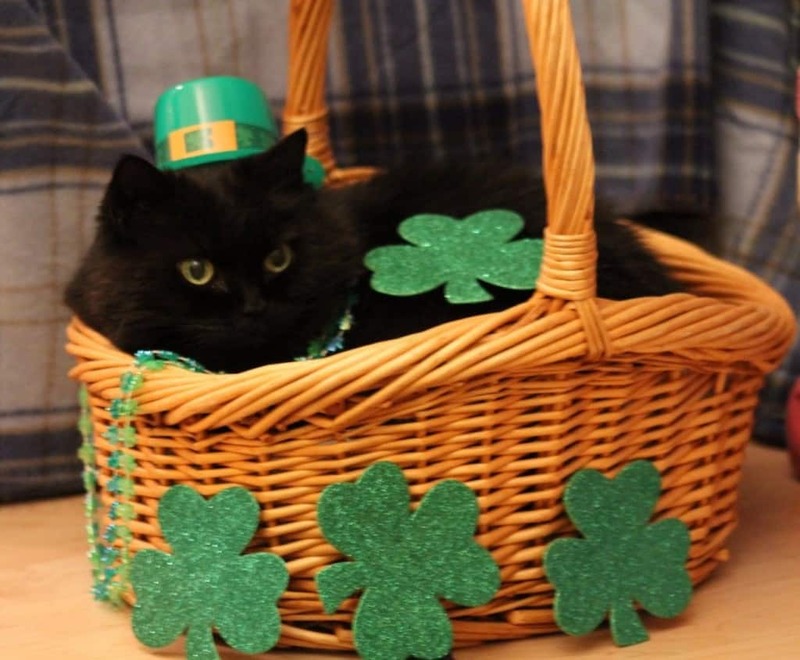 It’s no secret that cats love to get into everything, and this adorable black cat found himself in a basket full of shamrocks. This is a good idea for people that need to get their fill of baskets before the Easter holiday. 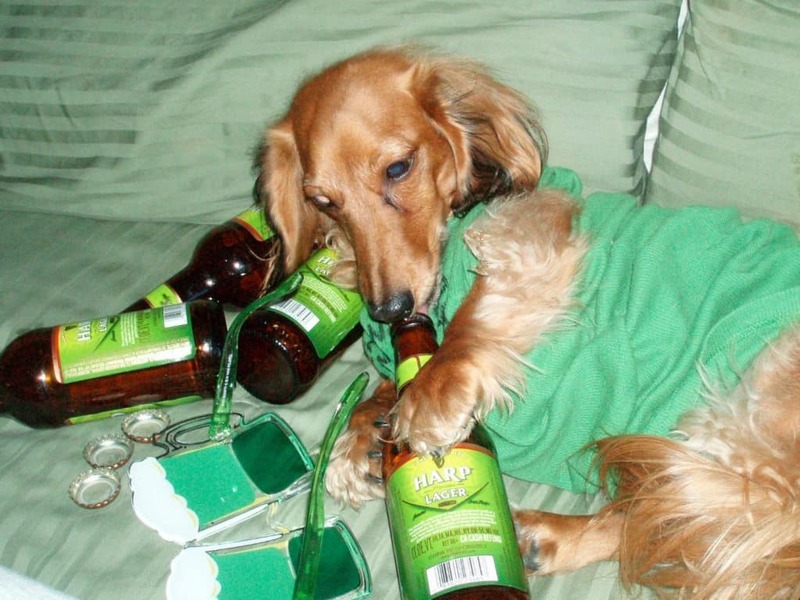 We’ve already seen a dog prepare to party, but this guy ended up going a little too far. There’s a good chance that you or a roommate will be waking up in the same way the morning after St. Patrick’s Day.